The best camping in Mississippi. From the forested northern hills to the beaches of the gulf coast, Mississippi is quite a catch for campers. 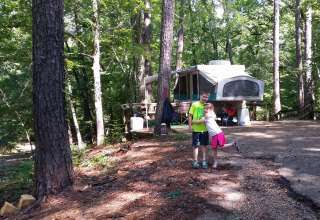 Camping in Mississippi will give you an unforgettable southern snapshot, from historic Buccaneer State Park on the Gulf Coast to the Appalachian foothills in northern Tishomingo State Park. The Longleaf Trace Trail stretches the 40 miles between Hattiesburg and Prentiss, and is a popular hike because of its wide, paved roads that cut through smaller towns along the way. Once a vital timber route, hundreds of hikers and horseback riders share this trail every year. For a more primitive adventure, sites like Little Sunflower River and Blue Lake offer a small number of quiet campgrounds surrounded by cypress and pine forest. In the northwestern delta region, Yazoo National Wildlife Refuge is the place for family fun, as visitors can enjoy meditative views from observation towers or a glimpse at the American alligators that populate the area. The Corinth Contraband Camp was a major place of refuge for escaped slaves, and now features memorial sculptures and a proud promenade. Part of the 8,000-year-old Natchez Trace Parkway runs through Mississippi. 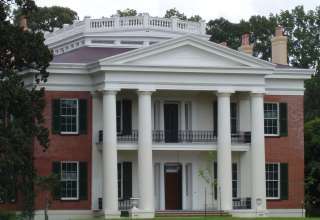 Once a buffalo route, it was also well-used by the Natchez tribe. 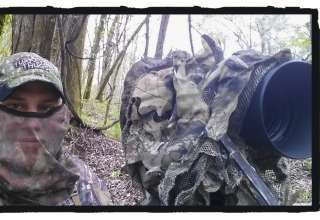 Birders from all around the country flock to Mississippi to catch a glimpse of the many migratory species who pass through annually. Get in a good run or ride on the Burning Sunshine Mountain Biking Trail in Tupelo, which features loops, bridges, and a lake. A visit to the Pascagoula River Audubon Center in Moss Point is an awesome way to discover Mississippi's native plants and animals.